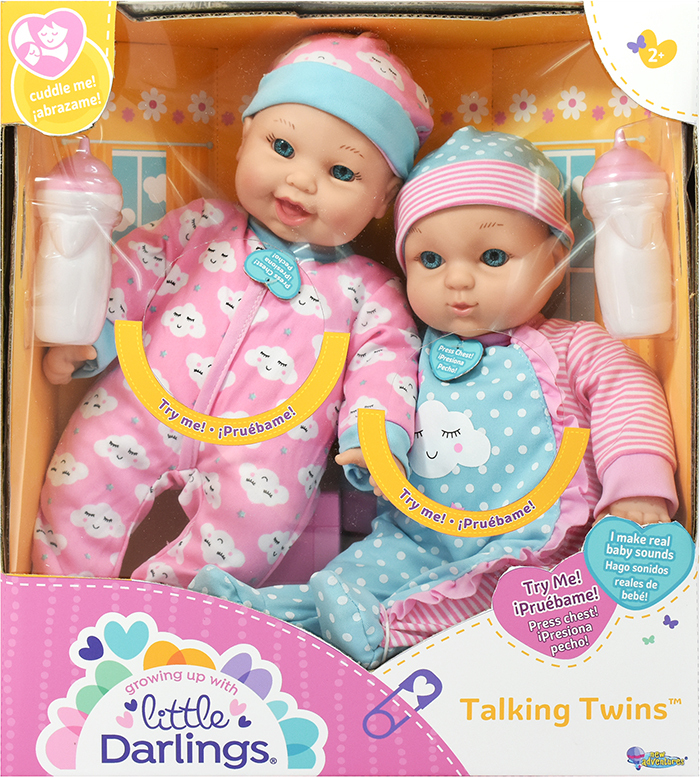 11” Twin baby dolls each dressed in colorful and fun PJs and each comes with a baby bottle. Press either baby’s belly and hear them babble with each other. They each make up to 6 different baby sounds!